There are hundreds of notable programming languages out there, but how do you know which ones will help you earn a comfortable living as a coder? Here's a hint: master SQL. Structured Query Language (SQL) is a specialized language designed to work with databases and given the rise in popularity of data-intensive fields like Big Data and machine learning, this language is surging in demand. There were more jobs for SQL than any other type of programming language in 2016, according to Indeed.com. Besting the big-name tools, like Java and PHP, it's evident that knowing SQL can net you some serious hiring potential. What's more, the national average salary for SQL programmers is $70,000, according to Glassdoor, meaning you can earn some major cash just from your SQL expertise. Of course, before you can collect on that top-dollar salary, you'll need to not only understand SQL but also validate your skills with certifications that the industry respects. That's where the Ultimate Microsoft SQL Certification Bundle comes into play. Featuring seven beginner-friendly courses, this collection is designed to get you up to speed with SQL and help prepare you to ace several Microsoft SQL Server 2012 Pro certification exams. This collection covers a vast array of SQL topics as well as the career paths you can take with your newly acquired knowledge. Take the Microsoft 70-461: Querying SQL Server 2012 Course for example. This training is geared toward helping you pass the Microsoft 70-461 exam for SQL professionals, which is essential for any aspiring database administrators, implementers, system engineers, and developers. This course will prepare you to ace the exam by walking you through creating database objects, tables, and views as well as combining datasets, designing T-SQL stored procedures, optimizing queries, and much more. With database developers surging in demand, this course also offers specialized training on all things related to database solutions in the Microsoft 70-465: Designing Database Solutions For Microsoft SQL Server 2012 Course. This training is tailor-made for those interested in building and designing databases by having you explore data compression strategies, database models, high-availability solutions, and more. You'll learn a maintenance strategy for database servers and even dive into management automation strategies, further bolstering your SQL know-how. Regardless of the career path you choose, having the proper SQL certifications at your side will help you get your foot in the door and one step closer to earning a high-level salary in the field. 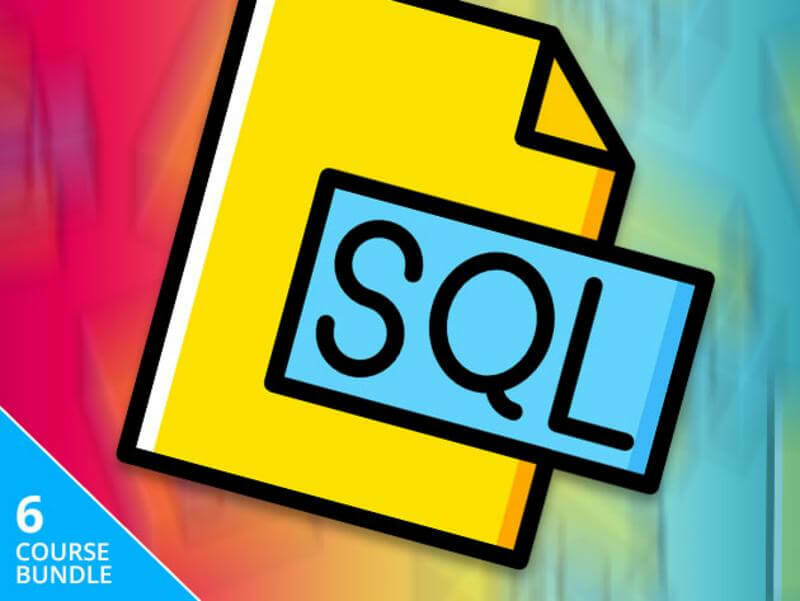 Now, the Ultimate Microsoft SQL Certification Bundle typically retails for $2,093, but it's currently on sale for more than 90 percent off its regular price, just $44 for all seven comprehensive courses.